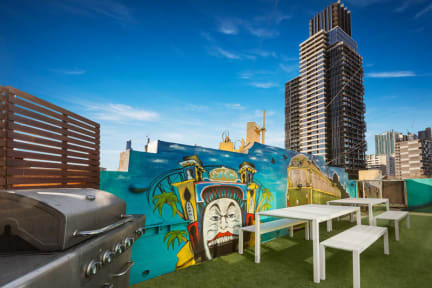 Nate's Place Backpackers, Melbourne i Melbourne, Australien : Boka nu! Nate's Place Backpackers is a popular backpacker hostel, perfectly located in Central Melbourne. 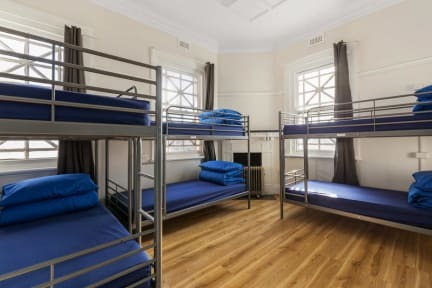 We offer clean, comfortable and affordable backpacker accommodation, providing free breakfast, free Wifi, nightly events and a wonderful, social atmosphere. Our friendly team are available at all times to answer your queries and provide you with all the advice you need to explore the beautiful city of Melbourne. Our rooms are spacious and each bed comes with its own large lockable storage locker, individual power socket as well as freshly made linen.